The market for mycorrhizae and other bio-stimulants is exploding. 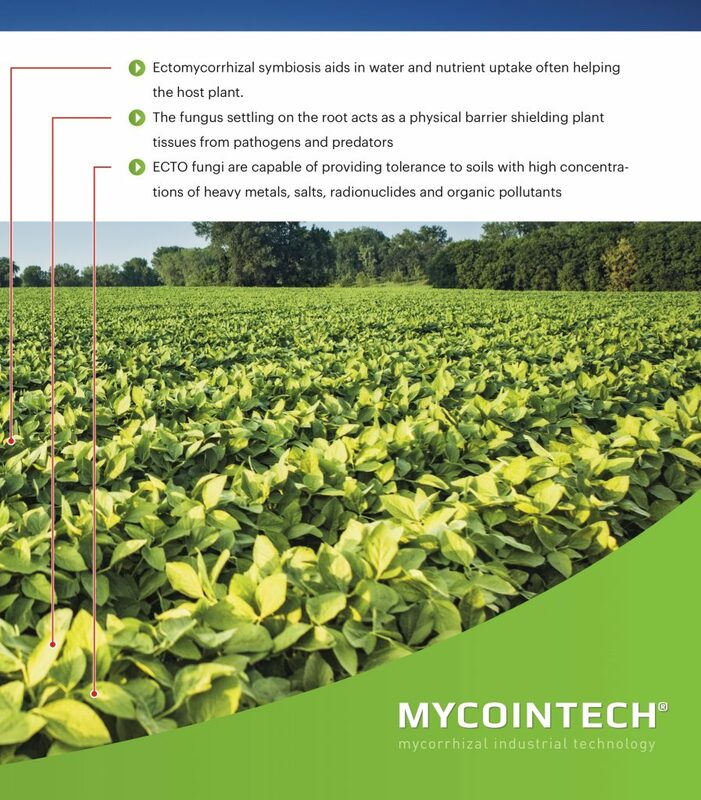 Mycointech, short for Mycorrhizal Industrial Technology, is pioneering the way mycorrhizae, bacteria and other microbes are produced, quantified and used to solve the world’s complex crop production issues. Our team is comprised of dedicated scientists, PhDs, and experienced professionals who are passionately making the best quality products on the market. We work hand in hand with universities, independent labs and regulatory bodies to ensure that there is high quality and consistency in our materials. 3) Partner with our clients to design specialized products for their applicable industry or market, and produce those private label products. We supply and support private-labelers, manufacturers and formulators exclusively—never the end user. Our business is centered around our commitment to innovation, consistent and reliable quality and customer service all at a competitive price point. We support our clients with the technical knowledge necessary to make their marketing, registration and customer-service more attractive and effective. We have carefully selected a variety of species and strains of endo, ecto, and ericoid mycorrhizae, available for custom blends to the commercial market. We continuously update our species offerings based on our customers’ needs and our own internal R&D. Our team’s experience in this market has equipped us with the expertise to develop effective solutions to our customers’ problems. The innovation and quality of our customizable products are based on years of research, testing and development using the newest scientific advancements in biotechnology processes and methodologies. We take real world problems and develop sustainable solutions in our state-of-the-art laboratory and in our specially-designed greenhouses. Only after thorough testing, are our formulations available to the commercial market. We are excited and passionate about continuing to create innovative solutions for our clients and improving the level of understanding and quality in the biological product market.